A simple, fun, non-messy craft to teach kids good dental hygiene. 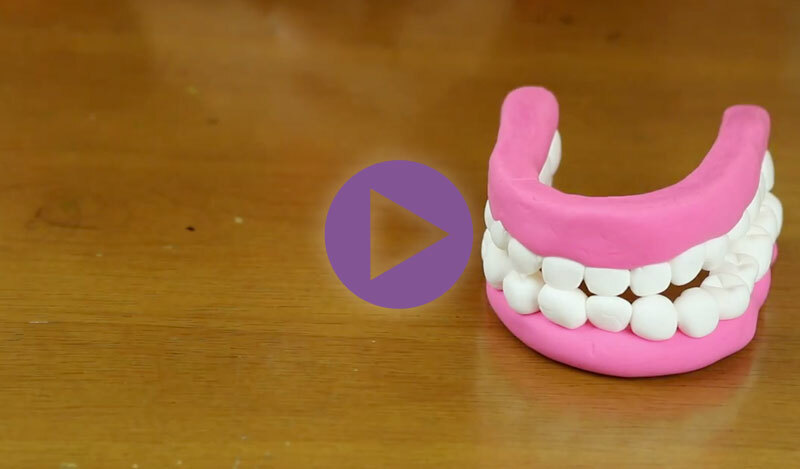 The dental model made with model magic let’s kids easily shape and form teeth and gums. It sticks to itself and air dries so that you could practice brushing and flossing. Once you’ve made the Model Magic dental craft with your kids, you can teach them good brushing habits with the finished product! Teach them to brush gently in circular motions to keep their teeth healthy and white. Healthy smiles mean healthy kids and happy Teeth Fairies!